The below describes one method for tracking the total number of times a participant leaves an experiment page, either by visiting another browser tab or window, or clicking away from the browser (to their desktop or another program, for example). It also displays a popup the first time a participant leaves an experiment page, and tracks the total number of milliseconds spent away from your experiment. Note that this code acts on a single experimental block at a time, so it must be added to at least one question within each block in order to track departures and time away throughout your experiment. 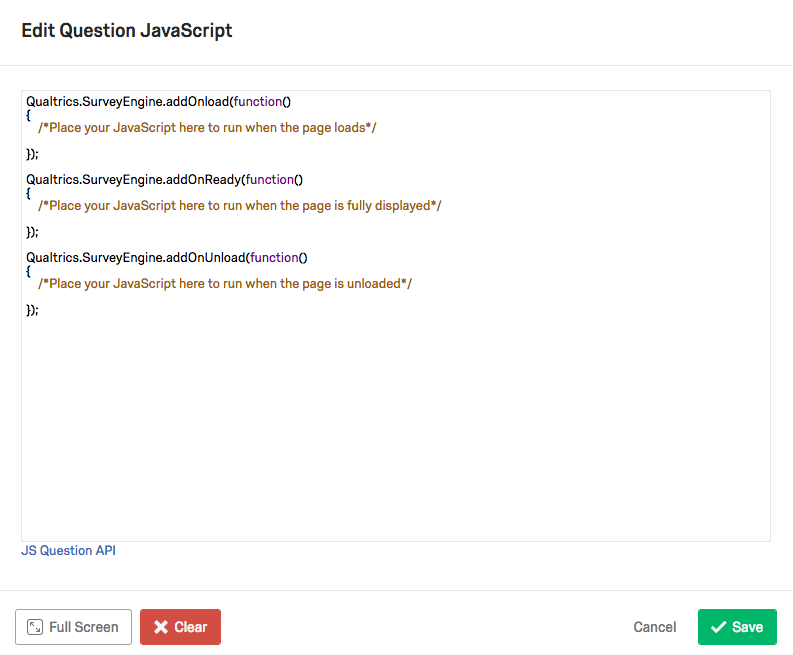 If you have multiple blocks, you’ll need to add additional embedded data elements to your survey flow, and add this code to one question within each block. In your analysis, you’ll need to add the values across all embedded data elements tracking number of leaves to find the total number of leaves, and add the values across all embedded data elements tracking total time away to find the total amount of milliseconds spent away from the experiment. 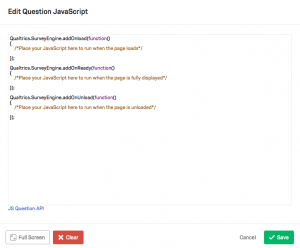 Step 3: test your code!